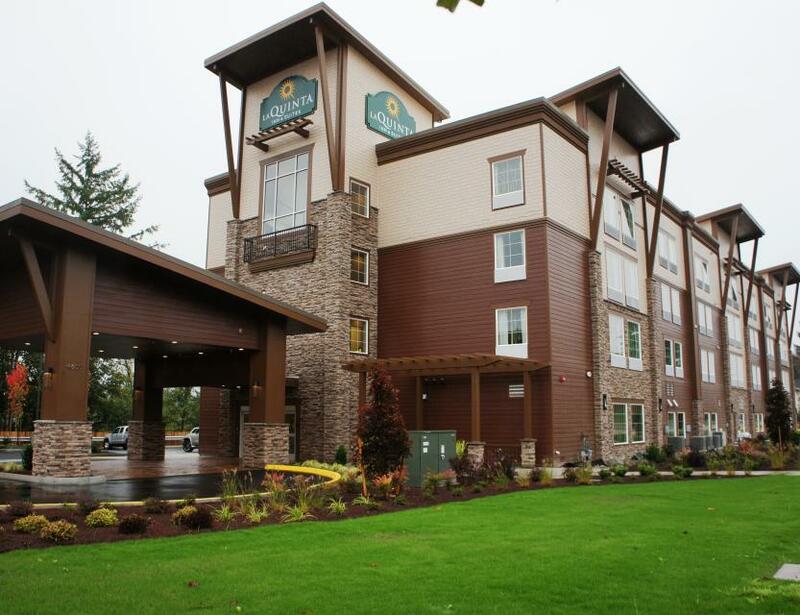 The La Quinta Inn and Suites Tumwater is within walking distance to many shops and restaurants. All guest rooms have pillow-top mattresses, 40" high definition televisions with premium cable channels, a microwave, a refrigerator, and work desks. 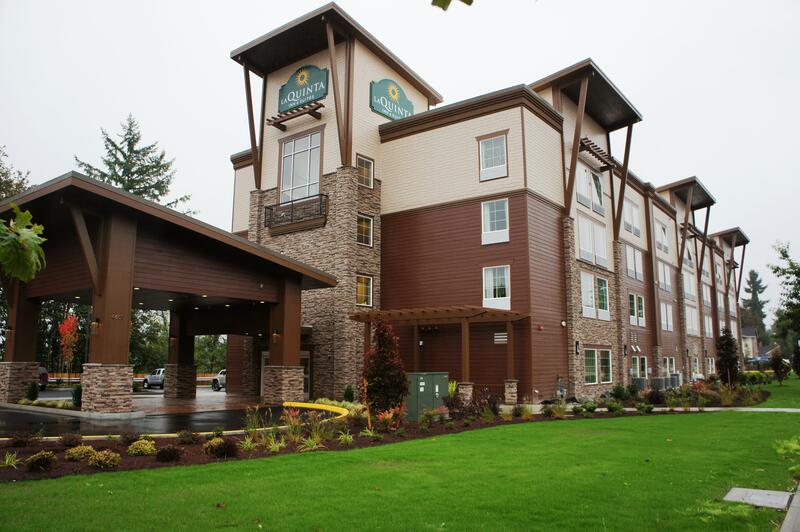 The hotel also offers Wi-Fi, a business center, an indoor heated pool and hot tub. Dining options near the hotel are plentiful and include several within walking distance such as Falls Terrace Restaurant, River’s Edge, Brewery City Pizza, and Happy Teriyaki. A short drive away you’ll find Lemon Grass Café, Pellegrino’s Italian Kitchen, Red Robin Gourmet Burgers, Olive Garden, Buffalo Wild Wings, and Anthony’s Heartfire Grill all under 5 miles away. Looking to get out and have some fun? Shopping is close by at the Capital Mall and Olympia Farmers Market both approximately 3 miles away. Also within reasonable driving distance is The Thurston County Fairgrounds, Centralia Outlet Mall, Olympic Flight Museum, The Governor’s Mansion, Madsen Family Cellars, Percival Landing Waterfront Park, the Hand's on Children’s Museum and the Monarch Contemporary Art Center and Sculpture Park. Area businesses include Providence Saint Peter Hospital, Group Health Olympia Medical Center, Washington Timberland Management, H&R Water Work, Northwest Cooperative Development Center, Point Plaza West, Saint Martin’s University, The Evergreen State College, Joint Base Lewis-McChord and the Washington State Capitol Building and several Washington State government offices.